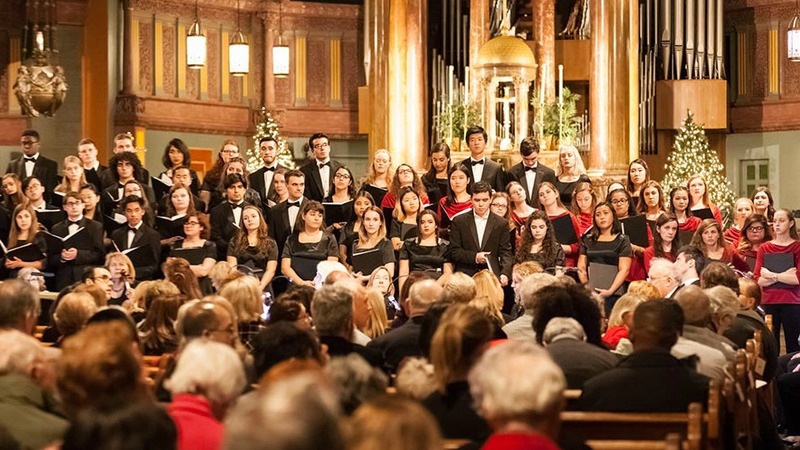 On December 3 and 4, 2016, hundreds of people joined the Fordham community for its annual tradition, the Festival of Lessons and Carols. This year featured performances by the University Choir, Women’s Choir, and the Bronx Arts Ensemble. Listen to the December 4 program below on-demand, or on WFUV on Christmas Eve at 10:30 p.m. EST, followed by Midnight Mass from Fordham University Church.